Yesterday Google began redirecting requests for google.cn to google.com.hk effectively ending its years of self-censorship in China. To be clear, Google has not ended censorship in China — Google has ended its own self-censorship. While searches within the .hk google are not censored by Google, they will still be affected by China’s keyword filtering. This means that queries for certain terms will not get through to google.com.hk search engine and the end user in China will not get any results. Even if a user in China uses search queries that are not filtered by China and retrieves results from google’s .hk version, they will still be affected by China’s filtering if they click on the link and try and view those results directly. What’s the difference? 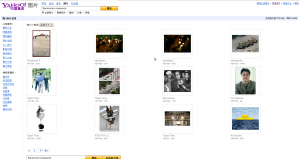 Users in China will be affected by China’s filtering, not Google’s. The difference is in the user’s experience — instead of retrieving results and carrying on as if censorship did not exist (disclaimer aside), the user now experiences the censorship first hand. 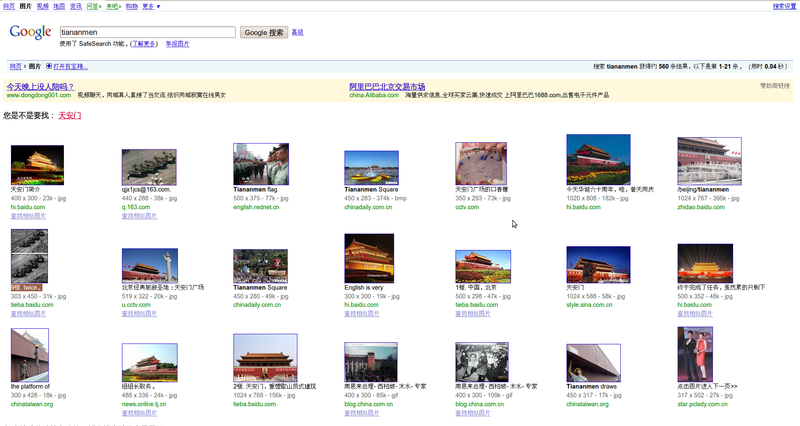 It is true that the user will not get any results from Google for queries that are filtered by China. this may results in quantitatively less information, but necessarily qualitatively (see here and here). Even if a controversial site slipped through the self-censorship, it would be picked up by China’s filtering if the user tried to access it directly. The move removes Google from an ethically challenged situation and has raised awareness globally regarding China’s censorship practices. Remember: Microsoft and Yahoo! 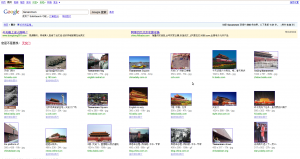 are still censoring their China facing search engines. 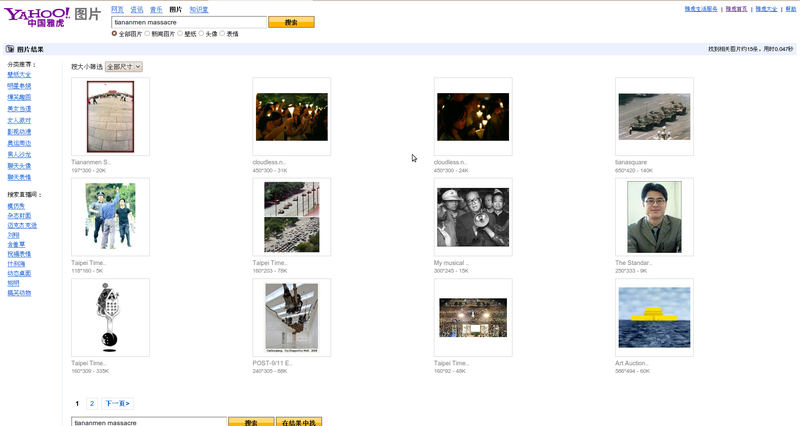 Today MSNBC reported that Google “appears” to have stopped censoring its search engine in China, google.cn. In Search Monitor Project: Toward a Measure of Transparency I tried to carefully document the different censorship practices among Google, Yahoo, Microsoft and Baidu. (Here are some more posts on this issue.) In short, it is difficult to determine the relationship between queries and censorship, so I focused on domains. NBC assumed that the censorship was keyword driven (there are some key word driven elements) but a lot of it is based on de-listing (or not indexing) web sites. For what it is worth, I noticed that a lot of the content I found to be blocked in 2008 was available BEFORE the Google announcement in January. 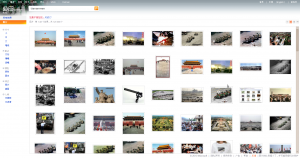 For example, around the Olympics in Beijing a lot of previously blocked content was accessible (although the search engines were still censoring more than China was at that time). 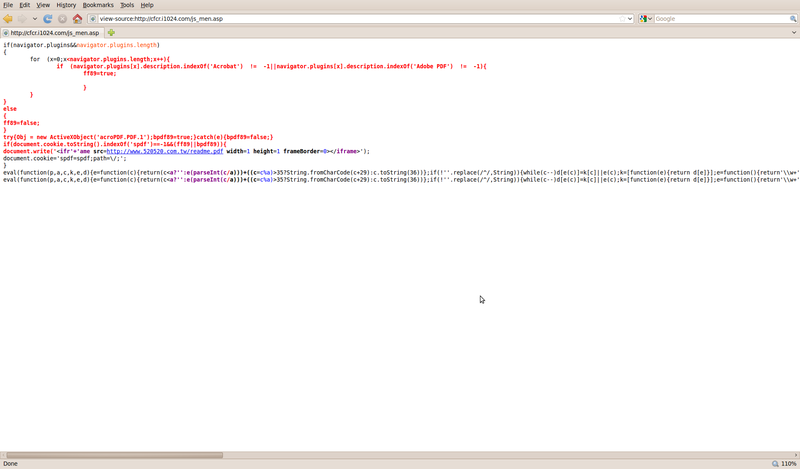 But anyway, a closer look at the current search engine censorship reveals some interesting issues. 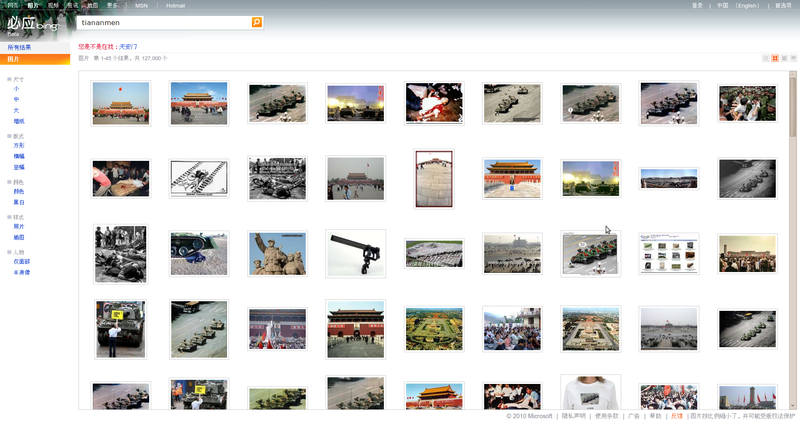 Here’s a google.cn search for Tiananmen, notice the “tankman” picture is there, twice. But look closely, what is Google indexing? Why those domains are “tieba.baidu.com” and “q.163.com”. Baidu and 163, both very popular domestic Chinese sites. 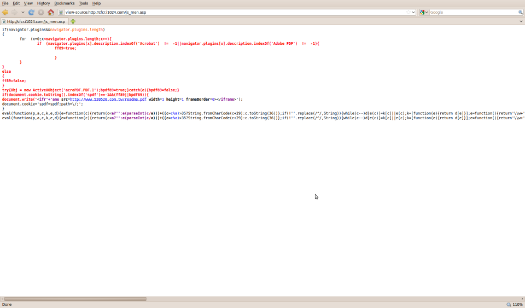 The images are not hosted on thoese sites, but are linked from them. 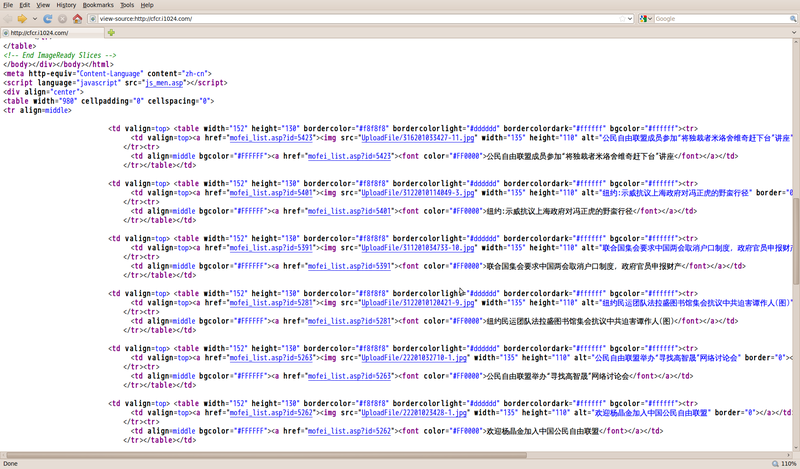 So both Baidu and 163 are displaying page that have the image too! What about Yahoo (yahoo.cn) and Microsoft’s Bing (with region set to PRC)? Yep, these images are there too! Although Google has consistently performed better (as in less censorship) in my tests over the years, Google’s censorship behaviour is not all that different than the rest. There have been many articles saying that Google is pulling out China. Well, that’s not exactly what Google said. Google is not leaving China. At least not yet. 1) Google is not willing want to censor, so Google will 2) engage in discussion with the Chinese government and, 3) in order to operate an uncensored search engine within the law. 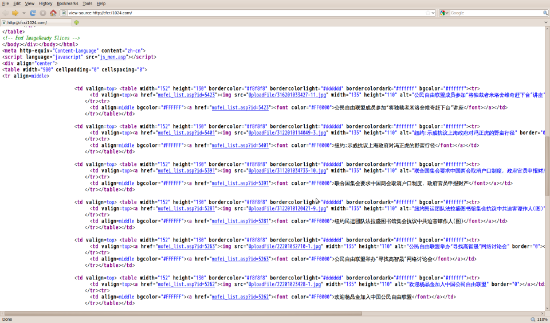 The question is, what law says that Google cannot index the web site of the BBC news? Anyone know? What specific law or court order is being complied with in China? It is 2010, still no answer. I think it is a reasonable question for Google to ask.